Asia’s largest mobile event of the year is just weeks away! In 2016, Mobile World Congress Shanghai will be presented in conjunction with the Shanghai Digital Information Festival and Smart City Expo-Shanghai Pudong at the Shanghai New International Exhibition Centre. Collectively, these three highly anticipated events are expected to attract over 70,000 attendees, representing almost 8,000 companies, and will showcase nearly 1,000 exhibitors across seven halls. Some of the world’s largest and most influential companies will be among the exhibitors, such as China Mobile, China Telecom, China Unicom, Cisco, CTTI, Ford, Hewlett-Packard, HTC, Huawei, KT Corporation, Nokia, Qualcomm, SK Telecom, Snail Mobile, Taobao, Tencent, Twitter and ZTE. 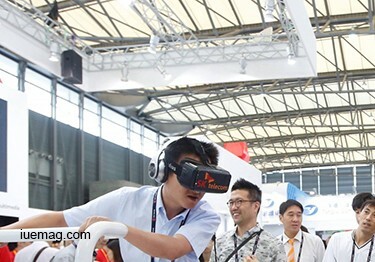 The MWC Shanghai exhibition includes featured areas such as GSMA Innovation City, Mobile Gaming Zone, Virtual Reality Zone, Drones, Devices and Wearables, and many other areas. Attendees can experience and learn from a variety of programmes presented by GSMA and partners. These include the Connected Vehicle Summit, Digital Commerce Summit, Digital Transformation Forum, Drone Summit, IoT Summit, Mobile Security Forum, and many more. Learn more here. All passes to MWC Shanghai include free access to Shanghai Digital Information Festival and Smart City Expo-Shanghai Pudong. Don’t miss your opportunity to experience the latest and greatest in mobile and innovation! Get your pass complimentary exhibition pass using code FEPKAESSPC here. Cristiano R. Amon, President, Qualcomm CDMA Technologies and EVP, Qualcomm Technologies, Inc.
Any facts, figures or references stated here are made by the author & don't reflect the endorsement of iU at all times unless otherwise drafted by official staff at iU. This article was first published here on 25th June 2016.